This year, the haul is going to huge! It’s going to be out of this world. We’re talking chocolate bars, fruit chews, sour candies, and those little pumpkin shaped thingies. After all, you’ve selected the perfect Spider-Man costume and your little one has all of Spidey’s moves down. But haven’t you overlooked one, tiny detail? Where is your child going to stash all of that candy when they go trick or treating? Your child is going to need a sturdy bag that will store a decent amount of candy. Also, you might want to think about having a bag that’s on theme, since we all know that the kids who go all out with their costume get the most candy during trick or treating season! That’s where this Spider-Man pillowcase treat bag comes in handy. This officially licensed bag has the wall-crawler’s image right on the side! 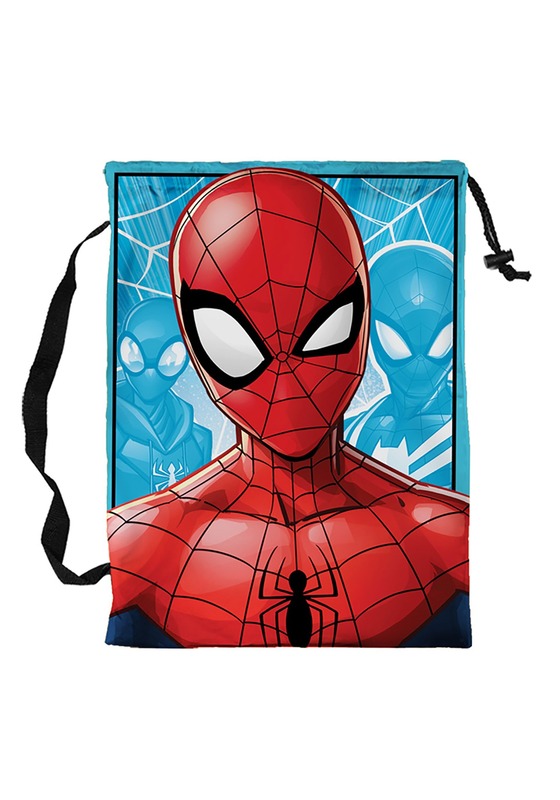 It also has a drawstring top, making it the premiere bag choice for any fan of the web-slinging superhero. Just pair this up with any of our Spider-Man costumes and your young hero will be able to bring in the motherlode. When your little one shows up to the doorstep in costume, holding this bag, the neighbors will be loving their new Friendly Neighborhood Spider-Man!